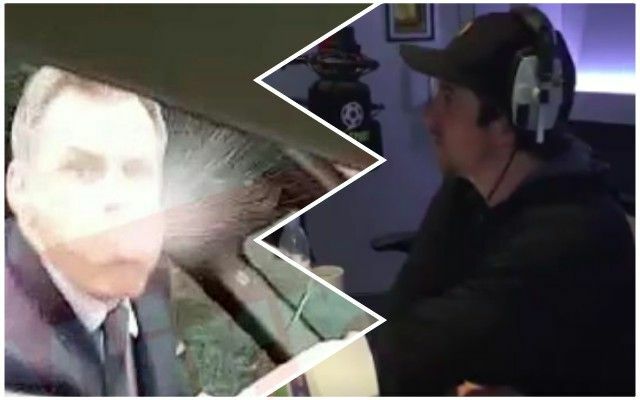 A man who’s stubbed out a cigarette in a team-mate’s eye, beat Ousmane Dabo to a pulp in training, done time for assaulting somebody in the street and is banned from football for illegal gambling… getting on his high horse about a spitting incident. Of all the people in football, Barton has the least right to speak about the moral code of another. The fact he still gets work in the industry is laughable, so we also think the manner in which he’s essentially called for Sky Sports to fire Carra is a complete joke. “Absolute madness,” Barton told talkSPORT this morning. “You just can’t do that. I don’t get why he doesn’t just, if he’s that annoyed, just keep his window up or wind it down and tell him to mind his own business. “I mean, I’ve done some stupid stuff but to do that stone cold sober. Why is he that emotionally-attached to the game? He should be an impartial pundit. “Surely you’ve got to see the fact that there’s a young girl in the car. “Sky probably have a large subscription base that are Man Utd fans and a large subscription base being Fathers or Mothers and they’d be really disappointed and would they want to be paying him to do that. Carra has undeniably let himself down, by the way. We’re not denying that. Neither would our former no.23, either. In fact, he’s apologised to the family and in public for an incident in which he was consistently provoked by a road user filming somebody to his left rather than looking at traffic. He’s also publicised a video to make money in which his daughter is clearly embarrassed and distressed.